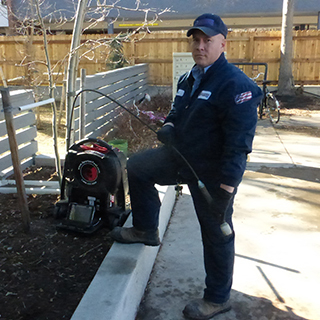 There are many reasons why commercial hydro jetting is the best solution for drain cleaning. Commercial plumbing systems require more robust plumbing installation, repair, and maintenance technologies and techniques than residential plumbing systems. This is due to commercial plumbing being subject to a much higher volume of usage, and the plumbing systems being more complex. One of the biggest challenges is that commercial plumbing has to provide service to dozens or thousands of people every day. When it comes to commercial drains, heavy usage can take its’ toll. Public restrooms are easily overwhelmed by long term steady use by large amounts of people. Depending on the type of commercial business, drains not only have to hold up to frequent and high volume usage, the drains may experience damage on a regular basis. Restaurants dump grease, oil and food waste down the drains daily. Dishwashing is another source of food waste, grease, grime, oil, and chemicals finding their way into the drain lines. For these reasons commercial properties are more likely to experience serious drain clogs and damage very quickly. Regardless if the commercial property is a restaurant, office building, retail, hotel or other types, clogged or damaged drain and sewer lines cannot be ignored. Fortunately, commercial property owners have an ideal solution available to them for dealing backed up sewer and drain lines. 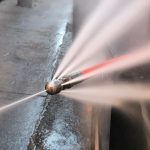 Commercial Hydro Jetting or “high pressure” washing is the superior technique to clean out commercial drain lines . 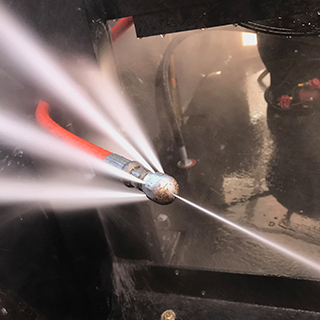 Hydro jetting is the professional solution to efficiently clear out any drain pipe blockages and is the ideal preventative maintenance service to keep drain pipes clear and in excellent working condition. Hydro Jetting can also be used in residential properties when needed. Hydro jetting is truly the best professional solution for fixing clogged commercial drains. The best description for hydro jetting is power washing for your drain lines. The process involves a high pressure water hose with specialized nozzles that blast through the drain line while sending spring jets of water behind it as it snakes through the pipe. Any type of debris clogging the line is broken apart by the forward spraying and forced through the pipe. The side and rear facing sprays scour and scrape residual materials away from the sides of the pipe, while creating a backwash of water that forces any remaining debris down the drain line. 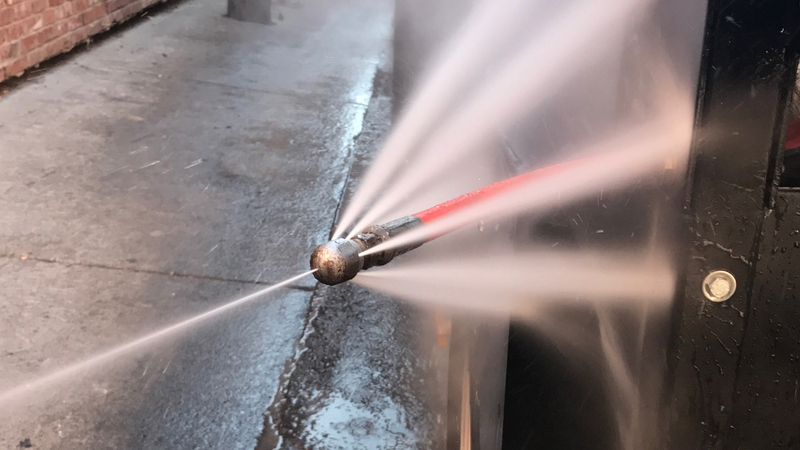 Depending on the type blockage and the condition of the pipe, the hydro jetting water pressure can be adjusted from a fairly modest strength to clean less severe blockage to extreme high pressure for serious blockages. These levels can range from 1500 psi to 7000 psi. To provide you with a better comparison, a typical firefighter hose shoots out 300 psi. While most people do not think of spring spraying water as being dangerous, even commercial grade washers can generate enough pressure to cause irritation to the skin. Given the psi levels used in hydro jetting, this is a plumbing service that should only be performed by licensed plumbing professionals. 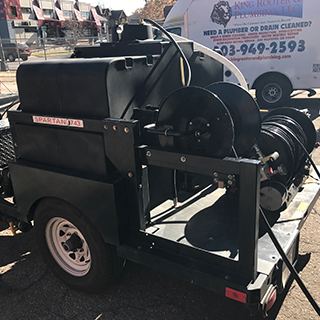 Hydro jetting can clear not only the usual sources of clogs, but also can remove food waste, hair, grease, grime, and even the most stubborn tree roots and severe blockages. 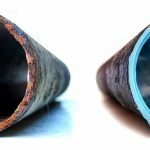 Since the technique scours the inside of the pipe usually at a 45° angle, it’s also an efficient means of removing long term gunk, grease, oil build up, and built up sediment that can restrict water flow and form the base of future clogs. 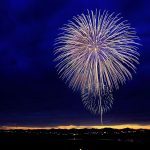 The basic mechanics of Hydro Jetting are simple. 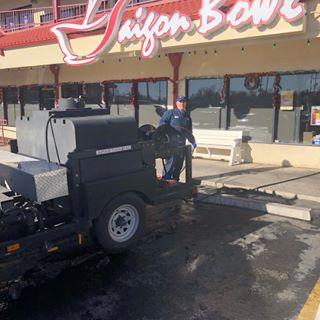 The technique can be easily scaled to meet the requirements of almost any commercial or restaurant property drain cleaning scenarios. Hydro Jetting equipment allows for plumbers to remove blockages from pipes anywhere between 1 ½ inches to 20 inches wide. Hydro jetting can be applied to multiple types of pipe materials including cast iron, clay tile (terra-cotta), concrete, PVC, and steel. Given the immediate force of the water being flushed through the drain line with hydro jetting, the pressure may have to be adjusted to avoid causing damage to weakened sections of the pipe. 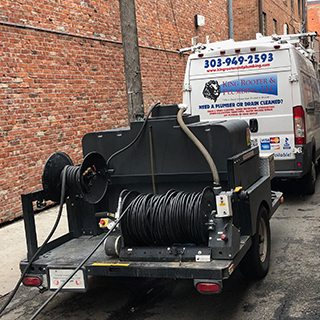 For commercial property owners looking for fast, professional, easy, and clean methods to solve serious drain line clogs, commercial hydro jetting can effectively eliminate problems at a cost effective rate. Not only will hydro jetting solve the immediate problem, but it can provide long lasting preventative measures against clogs and damage to pipes in the future. Performing a drain line video inspection is usually performed first to determine whether or not the pipe has any pre-existing damage. 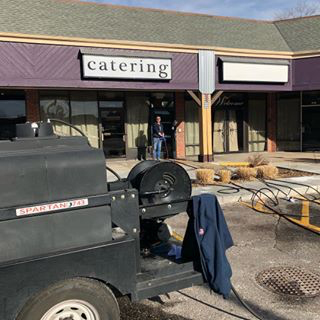 If you are interested in finding out how awesome hydro jetting can be for your commercial property or restaurant’s drain lines, be sure to contact King Rooter & Plumbing, your Denver metro professional Commercial Hydro Jetting expert. We can solve any immediate drain or sewer line problems, and can setup a preventative maintenance program to keep your commercial drain lines functioning at peak efficiency.